I’ve briefly shared about our journey with foster care and adoption in Two Prayers Answered, but our complete story has never been told. Someday. Maybe. Today I’ll be sharing some information…some food for thought…and also challenging you – are you ready? In 1976 Massachusetts Governor Michael Dukakis announced an Adoption Week in his State to promote awareness of the need for adoptive families for children in foster care. In 1984 President Reagan proclaimed the first National Adoption Week. In 1995 President Clinton expanded Adoption Awareness Week to the entire month of November. Then in 1998 he directed the Department of Health and Human Services (HHS) to develop a plan to expand the use of the Internet as a tool to find homes for children waiting to be adopted from foster care. And lastly, President George W. Bush provided an explanation of National Adoption Month in Spanish in 2008. I’m not trying to offend anyone. I do not want my words to come across pushy or condemning, but I do have some strong opinions about foster care, adoption and the Christian initiative to end the orphan epidemic, and this is my place to share. Our family is not better than yours. We are not incredibly “Godly” because we are involved and passionate about caring for children in the Foster Care system and have adopted. Adoption is not for everyone! Some folks aren’t equipped, seasoned enough as responsible adults, or have the resources to care for another child in their home full-time – but everyone can do something. 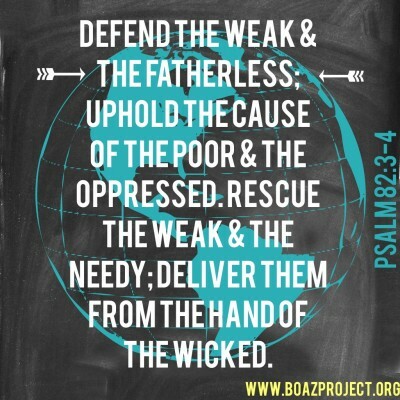 Christians have a responsibility to care for the orphans of our community, and we need to take this command seriously. With all of the “Christian Causes” spiraling out of control all over the internet nowadays, supporting a foster child and/or supporting a foster family is truly a Christ-like cause to get on board with. I am not sharing this post in an attempt to guilt you into becoming a foster parent. But, I do strongly feel we ALL can do something, especially if you claim to follow Christ – but sometimes people don’t know that something needs to be done. Consider this a “no turning back point”. I pray this will ignite a fire in some of you to seek God’s will for what He would like you to do to serve and care for our orphans. If those numbers don’t touch your heart and create a stir in your soul about the magnitude of the orphan epidemic plaguing our country – I am not sure what will. Each of those numbers represents the face of a baby, child, teen or young adult waiting for a family to care for them. My head spins when I think about it. 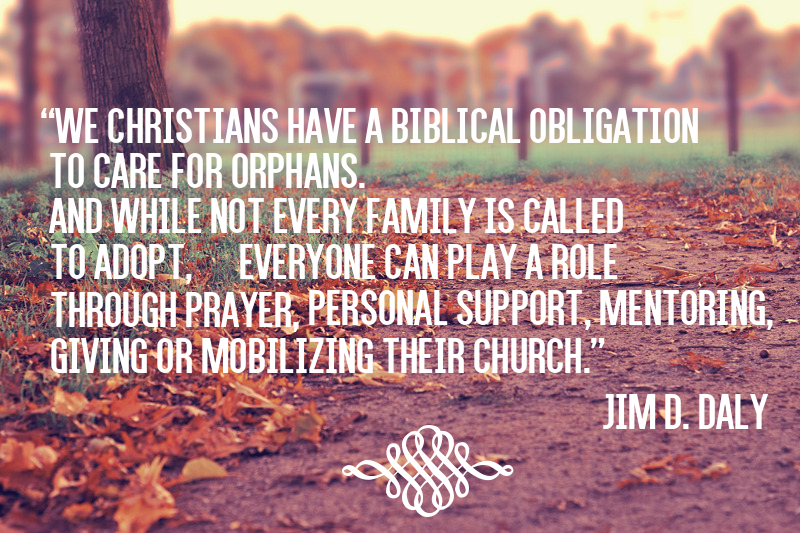 Caring for orphans doesn’t necessarily mean adopting them. There are so many ways to take care of orphans, such as fostering them, providing financial assistance or materials to orphanages or families who are fostering, mentoring or tutoring children in foster care, sending/donating Christmas presents, babysitting for a foster family, being a transporter or visit supervisor, or being licensed to provide short term or respite care, or being a CASA volunteer. For many it can be a battle of a spouse who does not feel called to enter the foster system and open their home. My husband and I had to pray about this to determine if this was a path our family felt called to. My advice to anyone thinking about fostering or adopting is that you both have to be in agreement. I would never want to try to ‘make’ it happen without my husband being on board 100%. That would have been a recipe for disaster. For some, it is fear of the unknown. You may not feel your home is big enough or you might not have enough in your budget to accommodate one more around your table. The first thing I would suggest is you pray earnestly, and then seeking out reliable information or resources to help you make informed and educated decision. It can take some digging to get good solid information and unfortunately I am only familiar with what the state of Colorado offers for fostering. Here a few other interesting facts to ponder regarding adoption from the foster system. Adopting from foster care is affordable. Most child welfare agencies cover the costs of home studies and court fees, and provide post-adoption subsidies. Thousands of employers offer financial reimbursement and paid leave for employees who adopt, and Federal and/or state adoption tax credits are available to most families. Every child who’s parental rights have been terminated is adoptable. Many children in foster care have special needs. All of them deserve the chance to grow up in a safe, loving, permanent home. Support and other post-adoption resources are available. Are you willing to make a difference in one child’s life?